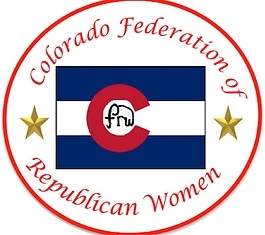 RRW receives official charter at the CFRW 2018 Spring Board Meeting & 80th Anniversary. 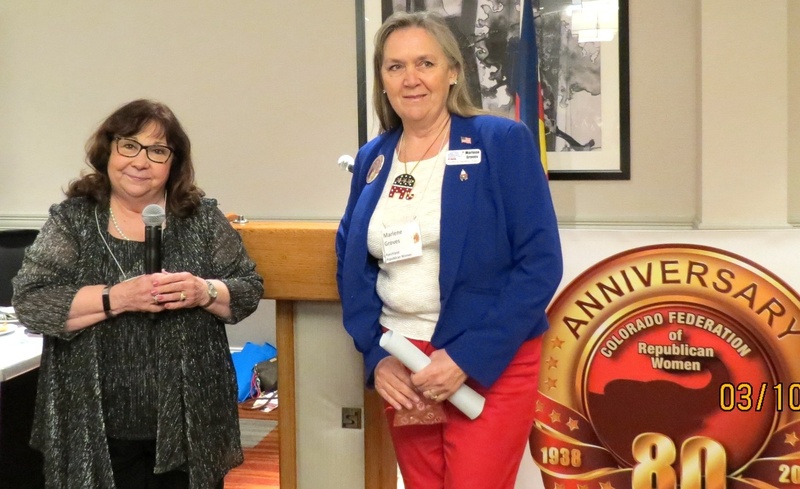 Photo L to R: Marilyn Harris CFRW President, announcing RRW with Marlene Groves, RRW President. 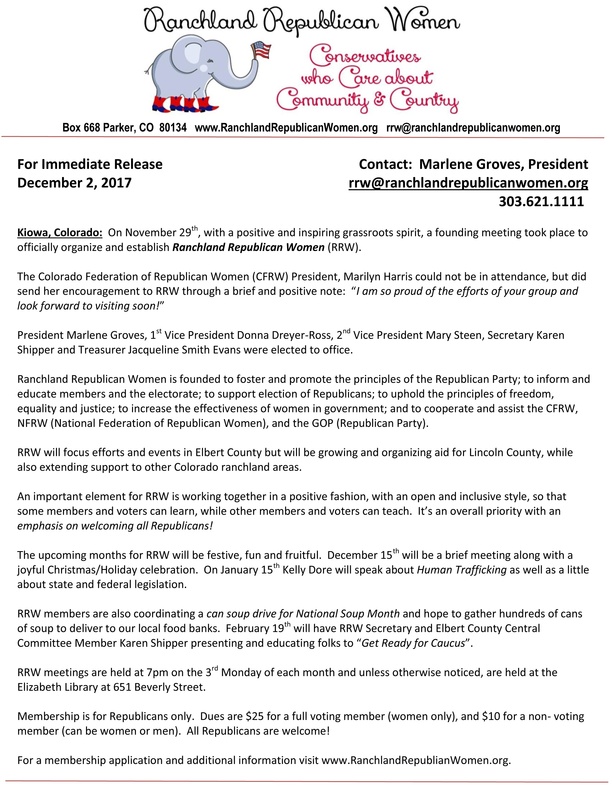 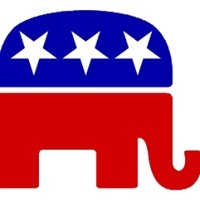 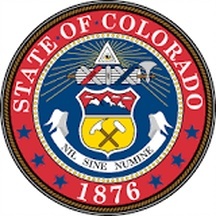 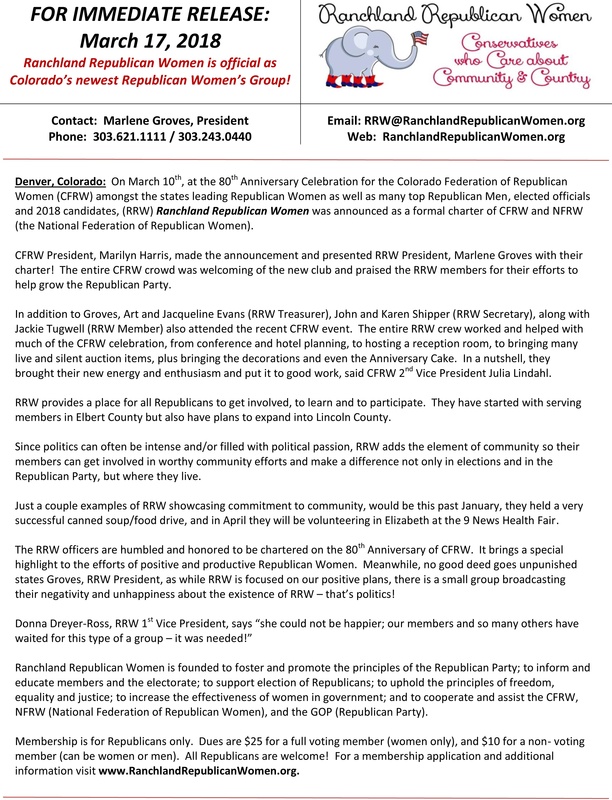 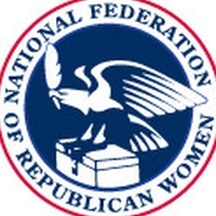 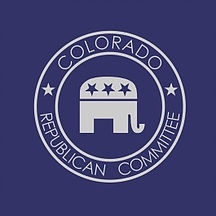 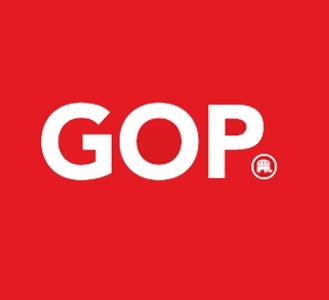 RRW - Colorado's newest Republican Women's Club launches to expand Republican participation in Elbert County and to grow a member base in Lincoln County. 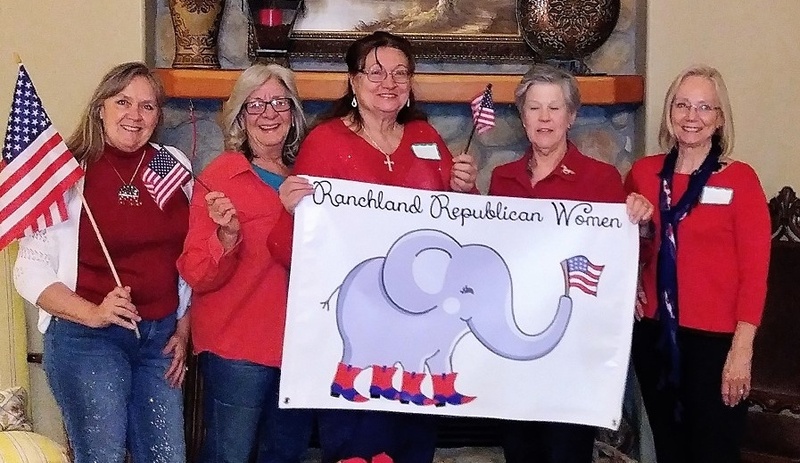 Photo RRW Founding Officers L to R: President - Marlene Groves, 1st VP - Donna Dreyer-Ross, 2nd VP- Mary Steen, Secretary - Karen Shipper, Treasurer - Jacqueline Evans.